Finca Los Monos Botanical Gardens offers a unique and impressive collection of exotic plants on the island of Isla Colon in the Bocas del Toro region. 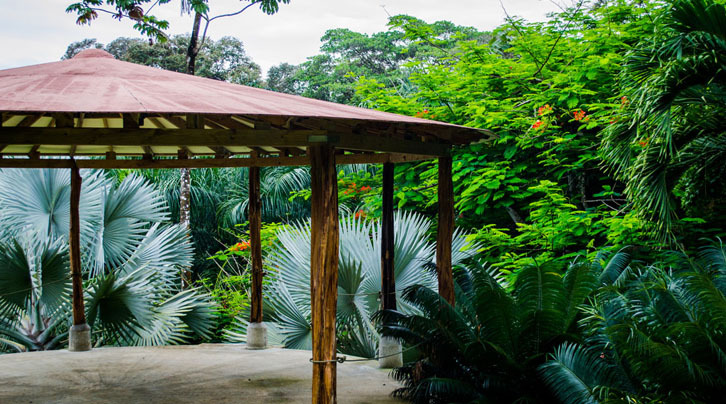 The 25 acres of lush grounds that make up this surprisingly comprehensive collection of flora are crisscrossed by wandering paths, most of them paved and easy enough to be accessed by visitors of almost any age and ability. 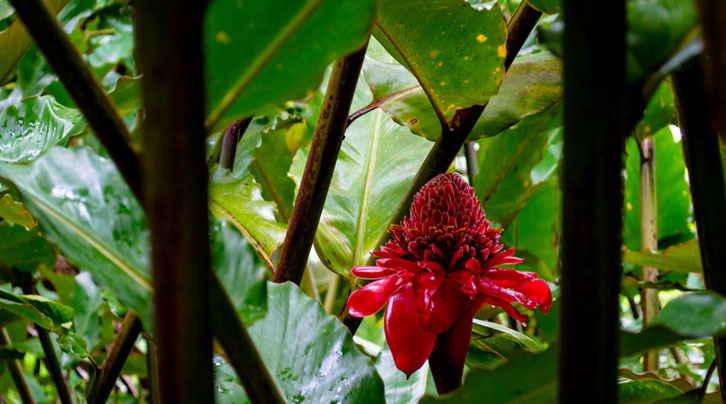 The wide variety of plants and trees feature labels identifying their name as well as the location where they are natively found and a Guided Garden Tour with one of the knowledgeable guides is sure to expand on your familiarity and appreciation of tropical foliage no matter your level of experience. 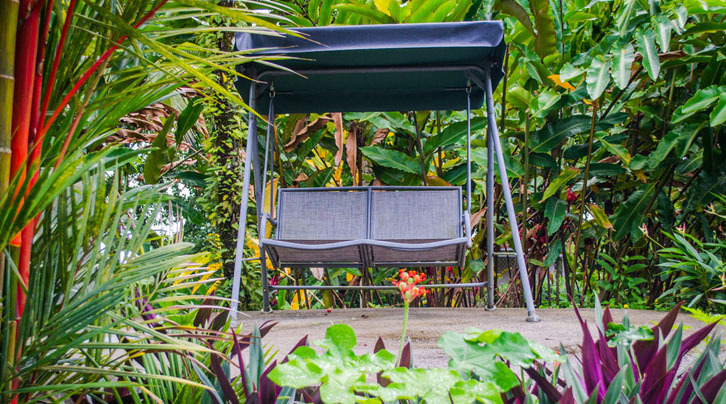 Towering palms, bushy ferns, brilliantly colored flowers and all kinds of breathtaking botanical designs of nature are spread out across the property. Nature’s immense variety of biological development is definitely on display in color, texture, size and fragrance. To the observant eye, the diversity of insect life is enough to keep the attention for hours. Whether brightly-colored or in subdued camouflage, flying or crawling, there are so many different kinds of bugs that you are nearly guaranteed to see something new every time you visit. To avoid the biting ones, however, it’s best to bring some bug repellent. 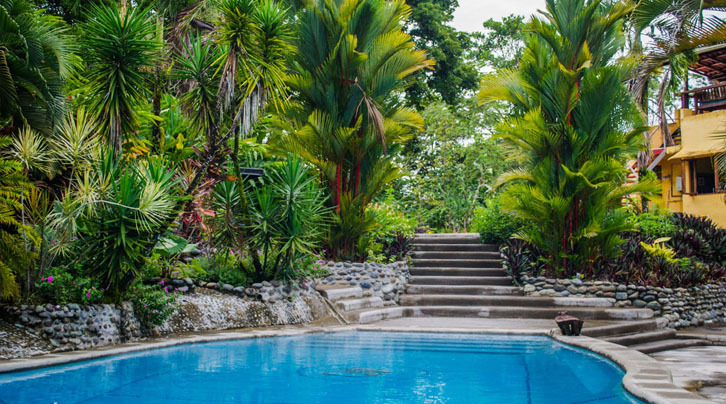 This lush property is also home to a wide variety of tropical birds that live among the plants and trees. From hummingbirds to parrots and everything between, bird watchers will be satisfied by the relative ease with which you can pick out the stunning spectrum of feathered forest inhabitants. Along with the calls of many different kinds of birds, visitors might catch the sounds of howler monkeys reaching across the rainforest. 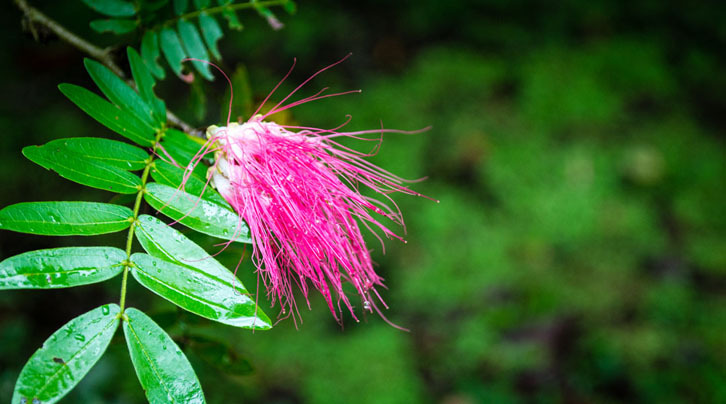 White-headed capuchin and howler monkeys are plentiful in this region of the Caribbean coast of Panama and it is not uncommon for them to visit the canopy over the gardens in search of fresh fruits.